Join us in a tale from another land and time — that land is D&D. 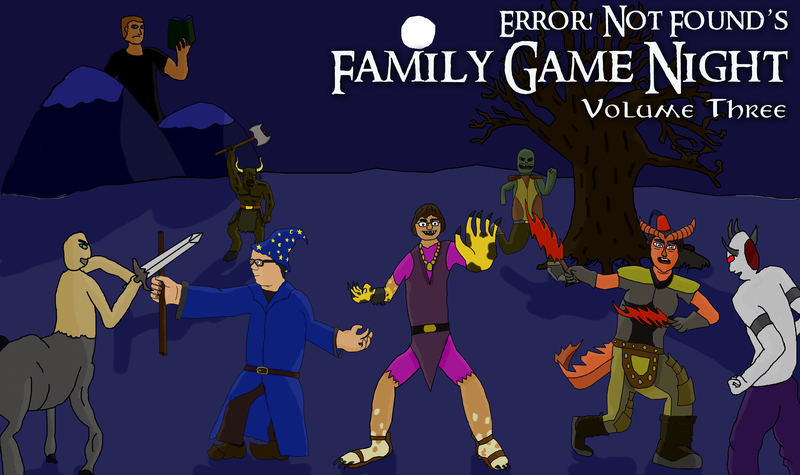 Welcome to Volume 3 of Family Game Night everyone! This time we’re moving in a different direction with some old school Dungeons & Dragons, with our new DM Ryan McGinley. We go over our characters and settle into this new world of magic, mystery, and mayhem. Join Corthana the Shifter, Grundoon the Tifling, and Arden the Gnome as they discover what it means to be a hero — or at least get super rich from doing quests and stuff.